History has many secrets buried inside of her, many love stories yet to be discovered one of those is Mandodari Sita and Ravana Love Story. Let’s dig into the soil of history and uncover one such beautiful story of unconditional Mandodari Sita and Ravana love story which has somehow managed escape our attention. Let’s dive into Ramayana. I know what you are thinking, there is just one beautiful love story in Ramayana – Sita and her Maryada Purushottam Ram. But, here my friend, you are wrong. Ramayana also depicts the deep-seated, unconditional and loyal love which Mandodari had for Ravan and Sita and Ravana love. The story begins when Ravan, the powerful king of Lanka, pays a visit to Mayasur, the father of Mandodari. During his stay, he sees Mandodari and is instantly struck by her stunning beauty. Mandodari was beautiful indeed and a devotee of Lord Shiva just like Ravan. And this common interest attracted him towards Mandodari. He wanted to marry Mandodari any how- by hook or by crook. 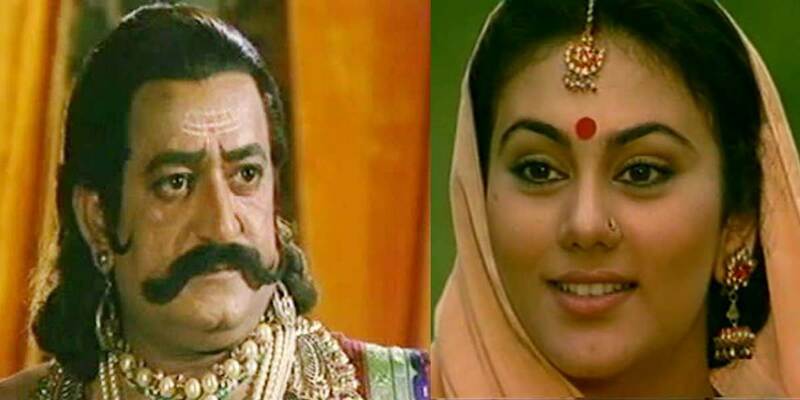 Following her father’s denial to the marriage, when Ravan threatened to destroy Mayasur’s kingdom, Mandodari stepped up and saved the honour of her father and her kingdom. Although Mandodari had no love for Ravan initially, following marriage, Mandodari was truly devoted to her husband and her relationship. She took up the responsibilities of an ideal wife. Unlike any sensible life partner Mandodari too was aware of her husband’s shortcomings and his potential weakness towards woman and those beauty. Mandodari, being a righteous woman, tried to pull back Ravan from going in the wrong direction. But then came a turn and occurred the tragic abduction of Sita. Falling prey to his own lust, Ravan was attracted to Sita’a beauty, and when he couldn’t have her by fair means he decided to forcefully abduct her and keep her captive in Lanka. Sita and Ravana love even after numerous failed attempts of forcing Sita into marriage, Ravan was not ready to let go of her. Here we see two situations, Ravan and Mandodari and Ravan and Sita. What Mandodari had for Ravan was love and dedication, devotion and loyalty and the true sense of commitment. Mandodari pleaded Ravan innumerable times to let Sita go back home, but when he didn’t listen to her at all, she knew her husband’s end was near. Mandodari’s act was a true act of sacrifice. Many people make sacrifices in love, maybe it is a form of showing love, but the same can never be said for enforcement.